He declared an “intellectually curious” Sir John Monash would have been more likely to support new technology. ….. 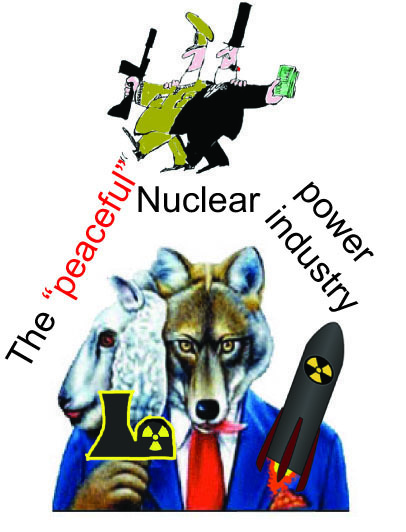 In this recent article the German News outlet ‘Deutsche Welle’ expose the link between civil nuclear and nuclear weapons. Nuclear ‘energy’ is a political choice. Is the IEA underestimating renewables?……….A study by the Lappeenranta University of Technology (LUT) in Finland simulating the costs of the global transition to renewables and found that a 100-percent renewable energy system would be cheaper that what we have today. The disposal of nuclear waste is still controversial, especially in the U.K.
Fell, meanwhile, has documented the explosion of nuclear powers costs, as well as the security concerns over new nuclear reactors. Yet India, Saudi Arabia, Turkey and the UK remain committed to building new nuclear power plants. And Fell sees a motive for this that has nothing to do with securing an affordable energy supply. “The main driving force behind the new nuclear reactors are nuclear weapons, and the desire for nuclear weapons,” he told DW. and under-represented in most of the positive ones. policies and practices within the society we live. ‘Understanding this relationship is crucial to finding solutions for creating the kind of society we want to live in. then there must also be some acknowledgement that we have effectively made poverty a crime. A total fire ban has been issued for parts of South Australia amidst a wave of warm weather that could break records. Above-average temperatures are expected through the weekend until Tuesday and that is “most unusual” at this time of year, Bureau of Meteorology duty forecaster Peter Webb says. “I think three days over 33 in a row would be a new record, if it happens,” he told AAP on Saturday. There is a risk that this method of funding will act to ensure that deprived areas, rather than geologically suitable areas, are more likely to volunteer. what is described as an open and transparent process, could be a long way from that. there needs to be more honesty and openness about the negative aspects. The Working With Communities consultation document can be found here. Cumbria Trust has submitted its response to the consultation here . The final date for responses is the 19th April 2018. CONSULTATION QUESTION 1: Do you agree with this approach of identifying communities? Do you have any other suggestions that we should consider? The geological screening report appears to be little more than a broad overview, which is a missed opportunity. A lesson from the previous MRWS process was that early information on geology would help communities to make a decision on volunteering. There needs to be a test of public support before a community joins the process. It is a long term commitment which could cause significant blight.